A Court of Mist and Fury left Feyre in the hands of the enemy, while she sacrificed herself for Rhysand and the Inner Circle. Without letting her enemy break her, she uses her time wisely to spy on the Spring Court to get one step ahead of the evil Cauldron. War is upon us. A Court of Wings and Ruin by Sarah J. Maas is the finale to Feyre’s magnificent tale of bravery, power and love. It was difficult to get back into the story. I read A Court of Mist and Fury only a few days before jumping right into the last book but it felt like I hadn’t been in this world in months. It was a bit slow in the beginning. As much as it felt like coming home—seeing all the fantastic characters I love,—it also felt like it wasn’t going in the direction I had pictured. 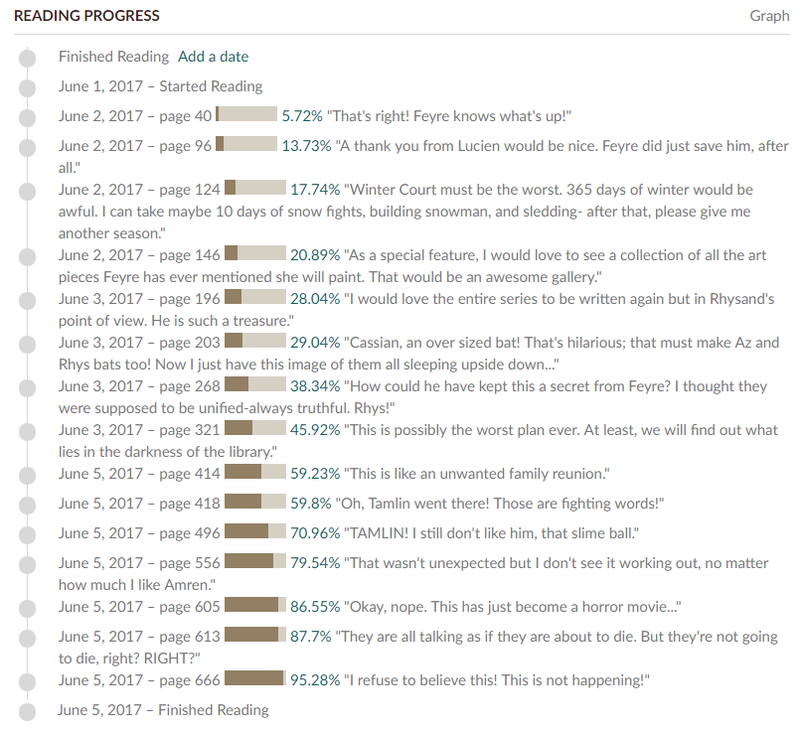 Feyre’s games are incredibly well played. They are extremely calculated, similar to the strategies Kestrel employs in The Winner’s Curse series by Marie Rutkoski. However, where Kestrel leaves you guessing until the big reveal, Feyre walks you through her games piece by piece, denying us the pleasure of realizing them for ourselves. It is still interesting to behold the endgame. She knows her goals and cleverly puts the Spring Court right where she wants them. I had extremely high expectations going into this book. After all, I found A Court of Mist and Fury to be absolute perfection. 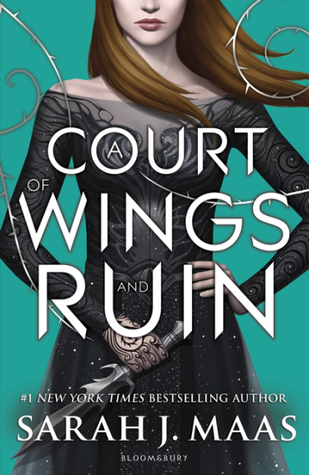 A Court of Wings and Ruin would either be as perfect or less so (it’s only downhill from perfection). I would have found it a miracle if Maas gave us another book as perfect as A Court of Mist and Fury. Instead, we got a finale that is a bit of a let down but no less entertaining than the rest of the series. It had us on the edge of our seats but didn’t push us to fall. The moment the book starts answering some questions I didn’t even know I had, it was amazing to see how ingenious the whole series truly is, woven together in this wonderful scheme. Every scene from the first book to now, finally comes together in a calculated way that is masterful and systematically beautiful. Sarah J. Maas is a superb storyteller. It wouldn’t be the first time, Maas throws some major curve balls that had me gripping the pages tighter. And when things started to feel predictable, I started noticing some blatant foreshadowing. I began dreading what I thought was coming—the closer I got to the end,—I didn’t want to continue. In part, what if I was right about what was to come? And also, because I didn’t want this magnificent series to be over. There’s something different about Feyre. She seems changed from her A Court of Mist and Fury self and there is no possible explanation for that. The book picks up mere weeks after we left off and Feyre seems icier than usual. You could debate that after spending weeks in enemy’s lands, it may do something to a person but when she returns home, Feyre still seems cold. It took me a while before I began to warm up to her again. It’s interesting to see Feyre take on her role as High Lady as easily as she did. It was as if she was destined to do so. I still find, despite her change in position, that we would make the best of friends. Staying by her side for three books now, Feyre has developed marvelously! Some hilarious comic relief spouts out of Cassian’s mouth. However, it is Azriel who is the true hidden gem of the Inner Circle. He is quiet, reserved yet still makes jokes and can hold his own in the group. He is a surprise, a bit shy but strong. Besides the perfection that is Rhys, Azriel comes in close second. We get to meet other High Lords! It’s exciting to put names and faces with the courts that we have only heard about in the past two books. In introducing all these new characters, there are unlimited possibilities of where Maas could take her world from here. Feyre’s story is, in fact, over with this book but the series will continue on in the same gorgeous world Maas has created here. I have high expectations for whatever Maas graces us with next! Without giving away any spoilers, I must say that the ending gets a bit redundant. It is a sudden case of déjà vu that we have seen this happen once before. In this repetition, I felt a bit cheated and whole lot of disappointed. I wanted something new and what we got was a recycled scene and rushed last few chapters. I adore when endings wrap things up nicely into a bow, answering all the loose ends. As the final book, I was hoping for such an ending. A Court of Wings and Ruin leaves us unsatisfied. The ending wraps it up so hastily, that you may have to return several times before closing the book. Feyre’s story ends with A Court of Wings and Ruin by Sarah J. Maas and with series finales, it is always difficult to stay goodbye. However, it is most painful with Maas’ series as she has given us such amazing characters, gorgeous world-building and an incredible plot. 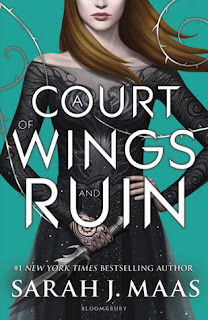 A Court of Wings and Ruin is a bit of a disappointment, overshadowed by the absolute perfection of the second book, A Court of Mist and Fury. This series will tear at your heartstrings and force you to come back for multiple rereads.